Our skilled team of electricians, solar energy designers and installers offer the latest solar PV panels, inverters and solar hot water. We’re a Western Australian owned and operated company and we perform all the work, so when it comes to repairs and maintenance, we know what to do – and we’re always here to help! Custom design and installation of quality photo-voltaic (PV solar) packages, energy storage batteries and solar hot water. Electrical safety & maintenance are crucial to ensure a long and safe operation of your investment for years to come. Our qualified technicians are on call 24/7. We’ve built our trust with thousands of West Australians through our honesty, expert advice, custom service – and ongoing support! We communicate with you clearly & honestly so that you can make an educated decision. 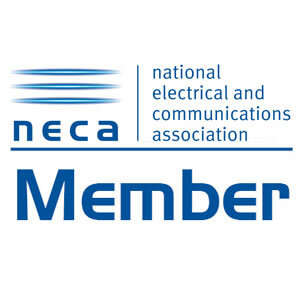 Clean Energy Council approved installers, were the industry-leading experts in solar projects. 30 Year performance warranty, 25 year product and 5 year installation warranties available. Feel confident with a smart, quality solar energy investment at a really competitive price. We’re with you for life! We’ll help with servicing & repairs whenever you need it. 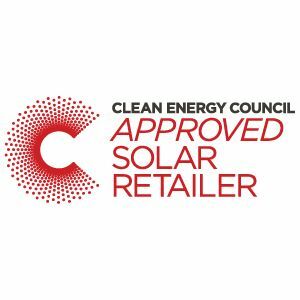 Australis Solar is a Clean Energy Council Approved Retailer. 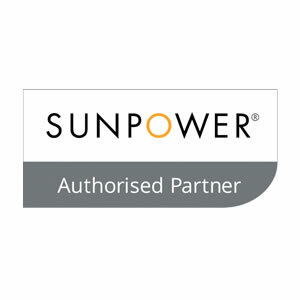 We are a customer oriented team of accredited electricians, solar energy designers and installers and Engineers. We supply quality custom designed solar energy solutions tailored to your consumption needs and use quality solar products to achieve the highest possible efficiency for your solar energy system. We offer a broad range of residential, commercial and off-grid SMA systems – give us a call on 08 6555 2999 to discuss your project requirements. This is our secret for a growing customer orientated business, located in Perth with projects all over Western Australia. Our residential and commercial customers in WA can be found all around Perth, Mandurah, Bunbury, Busselton, Margaret River and Albany. If you’ve been searching for ‘Solar Panels Perth’ or thinking about solar energy and genuine installers: Get in touch with us! I would like to take the opportunity to say thank you. All the staff I have had contact with have been very polite and helpful, from my first inquiry through to installation. The installation team were on time, worked well together and were just a really nice group of lads. I would recommend your company with no hesitation. We are so very happy we settled on Australis. Any one who is looking at installing a solar system we would highly and definitely recommend AUSTRALIS. They are very professional, courteous, skillful and communicative from the office staff down to the installers. They took time to explain the operation of the system in detail – so that we could understand! Bought a system from Australis Solar in July, was a great experience. All people I dealt with were lovely and the install was quick and tidy. Would recommend getting a quote from these guys if you are interested in solar. I asked them for a quote and they were able to advice me on the best system for the amount of electricity we consume. Good honest advice. The team were very helpful and explained everything. What more can I say, great service, fantastic communication, competitive price, quality equipment and efficient installation, cannot ask for more. Australis Solar were great and I would definitely recommend them to anyone looking to get solar power. Everything was so quick and easy and the staff were friendly. I had heard nightmare tales of outrageous quotes and long waiting times, but the price was right and I had the panels on my roof and working in less than 10 days from the very first call. I would like to say how impressed I have been by your whole process. First contact was with Brett. He was fantastic, very easy and knowledgeable. It was good to see tradesmen doing the job correctly. Alasdair and team have left roof in great condition. His wiring is neat, tidy and looks like a real professional job. Best thing we ever did. Australis Solar is dedicated to providing you with the best solar energy products and services . Our extensive range of solar products expands from Solar Panels and Inverters to Solar Hot Water, Energy Storage Solutions and Batteries. We also offer maintenance services related to Solar Power and electrical services for your home and business to insure a safe and energy efficient environment. Phone: 08 6555 2999 | Send us an email!